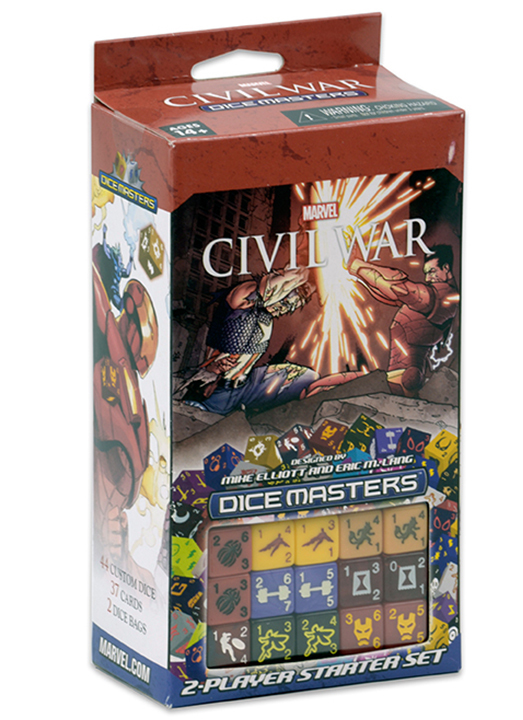 The Marvel Dice Masters: Civil War Starter Set features fan favorite characters like Spider-Man, Nitro, Jessica Jones, Captain America, Iron Man, and more! Marvel Dice Masters: Civil War premieres the Thunderbolts, Enlistment, New Warriors and other exciting mechanics! With game-play that supports two players in epic dice battles, Marvel Dice Masters: Civil War will let players build their own team of heroes or villains! 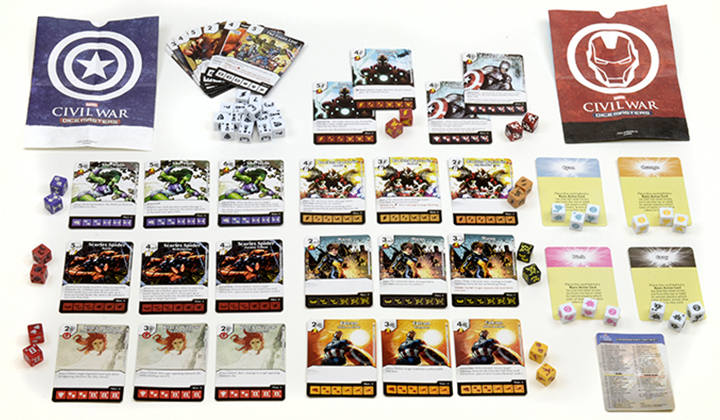 The Marvel Dice Masters: Civil War Starter Set is perfect for the Dice Masters veteran or someone looking to jump into the game fresh!